Play Cave Hunter for Mac! Cave Hunter is a procedurally generated maze system, that is different with every play! Each level takes between 15 seconds, to a couple of minutes, making this game easy to pick-up and play at any time. With unlimited levels, the deeper you go, the more complex each maze becomes! Cave Hunter is fun and addictive! The goal is simple; find the exit while hunting bugs, collecting power ups, and avoiding baddies. Achievements, and Game Center support is available so you can challenge your friends! Get your copy of Cave Hunter for Mac Now! Cave Hunter 2.0 Now Available! Download the new version of Cave Hunter today to see what’s new! Two new achievements: Dragon Slayer, Bolt Up! New textures and dynamic lighting enhances cavern feel! Recoded from the ground up using Swift, and optimized for iOS 8! Get your copy of Cave Hunter Now for FREE! Download Cave Hunter, and help Nixie rescue lost baby bats! Cave Hunter for Mac Available Now! Now you can play Cave Hunter on the big screen! I hope you enjoy Cave Hunter as much as I did creating it! Cave Hunter Available on App Store in Record Time! After little more than 24 hours, Cave Hunter is available now to download for FREE! New offshoot from CuriousCaverns, on the way! I’ve just finished a new game called Cave Hunter! In this one the player takes on the role of Talon’s cousin, Nixie. You guide Nixie through a seemingly endless labyrinth, while hunting for food, and collecting bat booty! What’s different about Cave Hunter? The goal is simple; find the exit while hunting bugs, collecting power ups, and avoiding baddies. Achievements, and Game Center support is available so you can challenge your friends! If you’ve played CuriousCaverns you’ll notice some of the artwork is familiar, but there are new surprises as well! Given the maze algorithm, the view in Cave Hunter is top-down, as opposed to a side scrolling platformer. Cave Hunter is a stand alone game, and doesn’t require CuriousCaverns. They simply share a similar theme! Look for Cave Hunter later this month on the App Store! 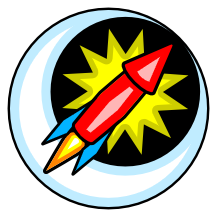 CuriousCaverns for Mac now Available! Play CuriousCaverns anywhere, even in big screen glory! 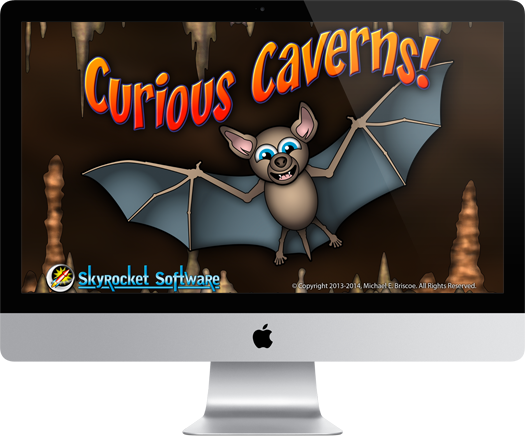 CuriousCaverns for Mac is available on the AppStore! Now there are versions for your Mac, as well as iPad, iPhone, and iPod Touch, so you can play at home, or on the go! CuriousCaverns is beautiful on the larger Mac screen! Download for FREE and play Level 1 now! If you enjoy the game you can buy Levels 2 through 5 with In App Purchase!